Dr. Wongpakaran has recorded an interview on 5 Feb 2014 for the program 'Promoting your health by Suandok doctors-'สร้างเสริมสุขภาพกับหมอสวนดอก' to be broadcasted 12 Feb 2014 program on FM 100.0 MHz 20.00 hh. 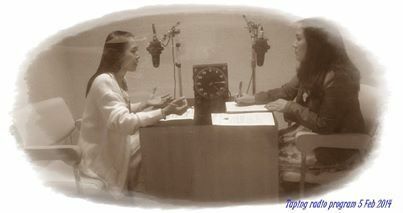 The program will be re-broadcasted on 'Health chat-คุยข่าวสุขภาพ' FM.93.75 MHz & AM 639 KHz 06.00 hh the next day. Also join Dr. Wongpakarn on live interview FM 93.75 MHz 13.00 hh on 17 Feb 2014.